I can count the number of times I have been this heartbroken on one hand. I could use only a couple of fingers actually. After a game in which we saw alternating first half touchdowns and us grabbing a 10-point fourth quarter lead, two defensive lapses and a play call which will go down as one of the worst in NFL history ultimately cost the Seahawks a second world championship. The New England Patriots are the 2014 world champions after a 28-24 Super Bowl XLIX win which will go down as one of the greatest Super Bowls of all-time. Unfortunately for us 12’s, we come out on the short end of things. This review will be exclusively commentary. There are several topics on the way this game turned out that I would like to shed light on. No stats, no game analysis. Just me talking. My hope is by the end of this I myself will be feeling better. My hope is that my words will help you get over this incredible unexplainable heartbreak as well. Seahawks Lost Game Well Before Final Play: The Seahawks defense had every opportunity to make sure this game would not come down to Russell Wilson’s game clinching interception. Instead they gave up 14 fourth quarter points, blowing a 10-point lead which normally would be enough for us to hold on and win. Tom Brady absolutely picked the Seahawks defense apart and the New England offensive game plan was executed exquisitely. It did not help that Seattle lost both Jeremy Lane and Cliff Avril to injuries but their replacements, especially backup cornerback Tharold Simon had an extremely difficult time staying with the Patriots receivers. The 28 points the Seahawks allowed is tied for the 3rd highest single game total allowed in 2014. 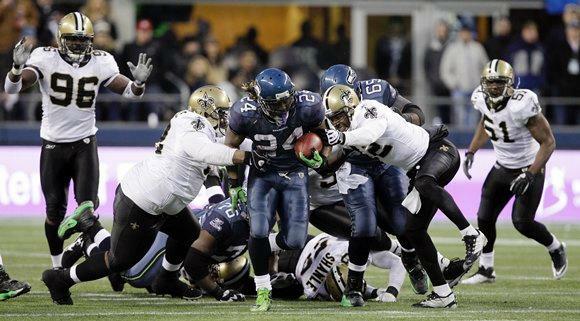 Seattle lost all three of the other games in which they allowed 28 or more points (San Diego, Dallas, St. Louis). Our pass rush was ineffective and that allowed Brady time to step up and make some great throws. It is amazing however that considering how badly our defense played, we were still in a position to win the game. That should say something about the resolve and fight of this young group. Let me get this out of the way bluntly. I absolutely do not agree with the second down play call of a quick inside slant on the one-yard line. I doubt anybody agrees with it. My previous thoughts following the Kansas City game however raise an interesting point. 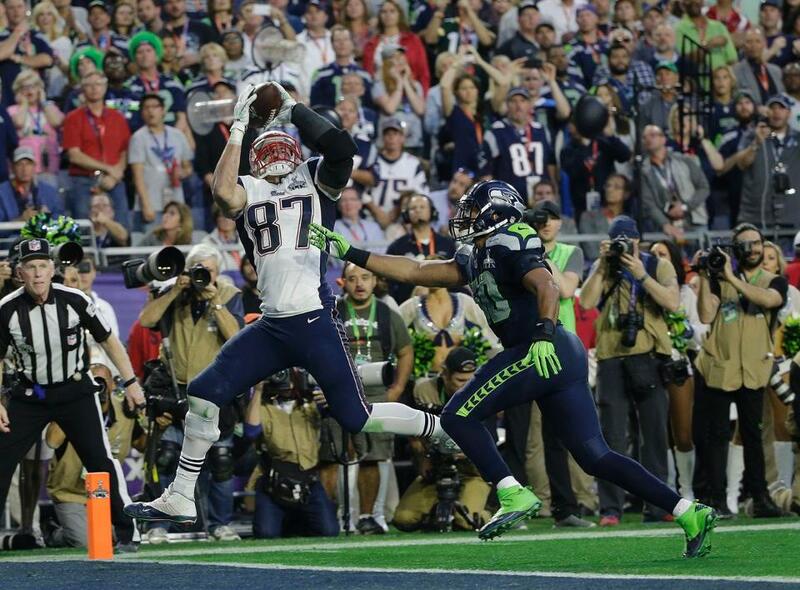 If Ricardo Lockette catches that ball for a touchdown, the Seahawks repeat as world champions. The manner in which the play failed is greatly magnified because of the situation; one yard away from taking the lead with 20 seconds left, and the Seahawks likely going on to win the game and hoisting the Lombardi Trophy. After taking the time to think about the situation this is what I would have done. You may agree or you may not. I would have called a run to Marshawn Lynch on second down. If we are stopped I would take our final timeout. On third down I would have called one of three plays: either a Russell Wilson roll out pass similar to the 2-point conversion play call in the NFC Championship Game, a fade to Chris Matthews in the back corner of the endzone (I would have confidence in him out-jumping either Darrelle Revis or Brandon Browner to make the catch), or I would let Russell Wilson keep the ball on a read-option or a naked bootleg. If we are stopped here and the clock is dead, on fourth down I would line up with an extra offensive lineman on the right side, I would put fullback Will Tukuafu in motion to be an additional right-side blocker, then hand the ball to Lynch and let him plow his way across the goal line. The timing of this play could not have been worse and it cost us a championship. This is not the first time Bevell has made questionable play calls within 5 yards of the endzone. Arizona in 2012 and Kansas City this year immediately come to mind. I stand by my opinion that the Seahawks need to move on from Darrell Bevell in 2015. Pete Carroll can fall on the sword and take the blame all he wants, but Bevell’s play calling has cost us games time and time again and his tendencies nipping us in the bud in the biggest game in franchise history should be the tipping point. It is true. The Titans advanced the ball down to the one-yard line but the clock was not their ally. Tennessee ran out of time before they were able to snap one more play and the St. Louis Rams went on to win Super Bowl XXXIV. In this instance, the Seahawks got the ball to the one-yard line and potentially had three more opportunities to score. Instead, well, you know what happened. This is what makes this loss the most painful I have ever experienced. To know we were a mere 36 inches away from back-to-back championships makes me sick to my stomach. Staying Positive: As tough as this loss may be to process right now here are some points to help us stay optimistic about the future. 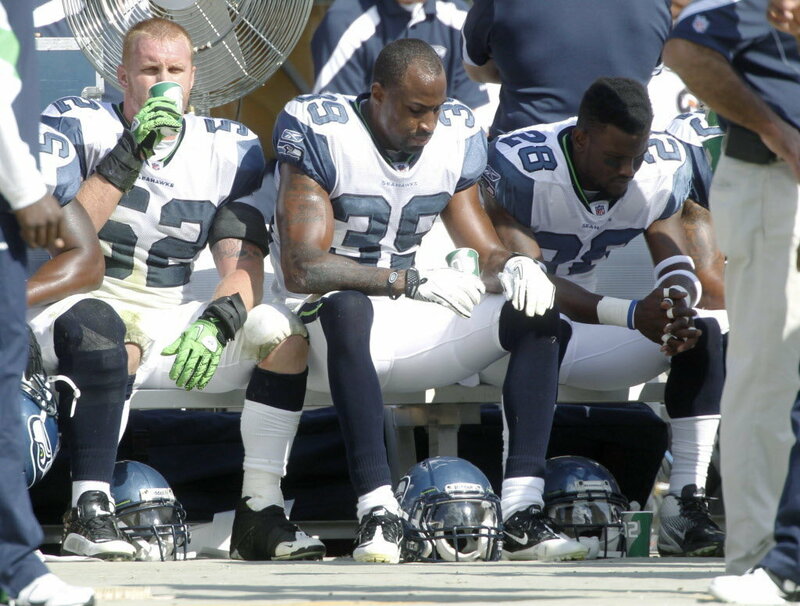 First, after the Seahawks lost to Atlanta in the 2012 playoffs we saw this team work as hard as possible over the next offseason to make sure they would not be in the same position again. That hard work resulted in a Super Bowl title in 2013. I believe this awful taste will stay in the mouths of all these players for the next seven months and we will be hungrier than ever come September. Second, this team is young. It is not like this group was aging and had only one shot to win a championship and the ship sailed. This core group is going to be around for a long time and I am certain we will be back in the Super Bowl very soon, maybe even again next season. The third and perhaps most important point is this. Even though we lost this time around we know what it feels like to be world champions. For the longest time the Seahawks were a franchise that had no championship history. We have been to the summit. We are not still in search of our first Lombardi Trophy. XLVIII will never be taken away from us. As nice as it would be to have two right now, remember we had zero for over 35 years. I am damn proud of the one championship that we do have and those are memories that will never ever go away. Random Thoughts: Just one thought in regards to the overall gameday/stadium experience. I liked how spread out and convenient events seemed to be this year compared to last year. Although downtown Phoenix and Times Square were eerily similar, the gameday experience in and around the stadium in Glendale was much smoother this year. I liked being able to be dropped off in the Westgate Entertainment District, eat before the game, then get into the stadium within 10 minutes rather than take two trains to New Jersey, have 4+ hours of time to kill before the game, then take two trains after the game and get back to the hotel at 3 o’clock in the morning. I have yet to decide if I will do a post chronicling my week in Arizona for Super Bowl XLIX. If I do decide to write something, look for that likely this weekend. My hope is to be back in a couple weeks during the NFL Scouting Combine. By then I hope is to be fully over this devastation and be fully focused on the 2015 season. Thanks for reading and for the support throughout this season everybody. It means a lot to me. Go Seahawks! Don’t get me the least bit wrong, I LOVE the outcome of Sunday’s game, but this 20-burger with cheese should have been at least a 40-burger with cheese (if you’re confused try to look it up). The Seahawks defeated the New York Giants 23-0 on Sunday in a game that featured an unstoppable Seattle defensive unit, a shaky yet functioning offensive unit, and perhaps a preview of the Seahawks getting their feet wet in the stadium that may house the biggest game in Seahawks history on February 2nd. The Seahawks are now 12-2 and are one win away from clinching the NFC West title and home field advantage throughout the NFC playoffs. The Giants fall to 5-9 on the season and nothing was improved on their side except for their slot in next year’s draft. There is so much good to go over in this game (with a little “just okay” to go over as well) but let me start with the obvious. Defense Plays Best Game of the Season: In general let’s not ignore this undeniable fact; the Seattle Seahawks defense played their best all-around game of the season. But honestly, how can you not when you shut out your opponent? The Seahawks held the Giants to 181 total yards and New York did not have an offensive play in Seahawks territory until the fourth quarter. The run defense looked particularly dominant, holding Andre Brown and Peyton Hillis to 25 total rushing yards. The pressure the Seahawks front seven put on Giants quarterback Eli Manning started early with a sack by Bobby Wagner and did not let up, even when the Giants were able to get small drives going. Two interceptions by Richard Sherman and an interception by Earl Thomas are examples of what I preached in my Giants game preview. If the defense could force New York into mistakes the Seahawks offense would control the game. That is exactly what happened. Constant pressure on Manning forced him into bad throws which resulted in interceptions. 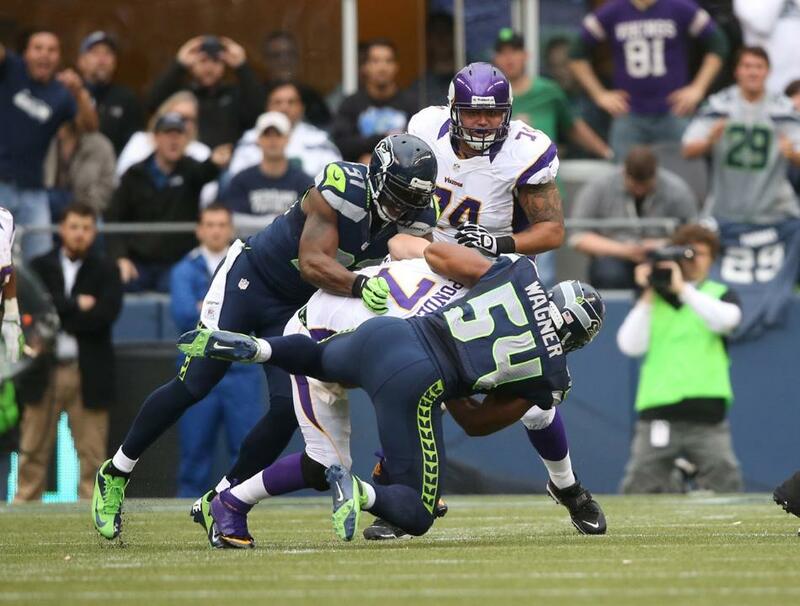 Sherman and Thomas played a great game but it was one other Seahawks defender that really opened my eyes. Brandon Who? Walter Who? : There is a very special feeling fans get when they see a backup player get his chance, make an immediate impact, and display his “star-of-the-future” potential. Byron Maxwell played the best all-around game of his young career on Sunday, recording 3 passes defensed and also intercepting 2 passes. In three starts in place of the injured Brandon Browner and the suspended Walter Thurmond, Maxwell now has 3 interceptions and 8 passes defensed. Maxwell’s play is making it incredibly difficult for the Seahawks defensive coaches to justify replacing him once Thurmond returns from his suspension. With Maxwell playing well on the outside, that also helps cornerback Jeremy Lane, who can focus strictly on playing nickel cornerback instead of having to switch between different positions in different packages if Maxwell was struggling to hold down the second cornerback spot. Although Maxwell is taking over a starting spot, regardless of who is the second starter when Browner and Thurmond come back, the Seahawks will have a proven idea of just how deep they are in the secondary for the playoffs. Pass Rush Forces Mistakes: Eli Manning threw a career high 5 interceptions this week and it was due in large part to the effectiveness of the Seahawks pass rush. The Seahawks recorded 4 sacks of Manning and additional pressure forced bad passes which ultimately stopped drives. Bobby Wagner and Michael Bennett stuck out in my mind this week, as both had phenomenal performances. Wagner and Bennett combined for 14 tackles and 2 sacks. Over the past few road games the Seahawks pass rush seemed to be lacking. The last time the Seahawks defense recorded at least 4 sacks in a road game was back in week 7 at Arizona and the 4 sacks Seattle had against the Giants this week is the second highest total on the road this season. 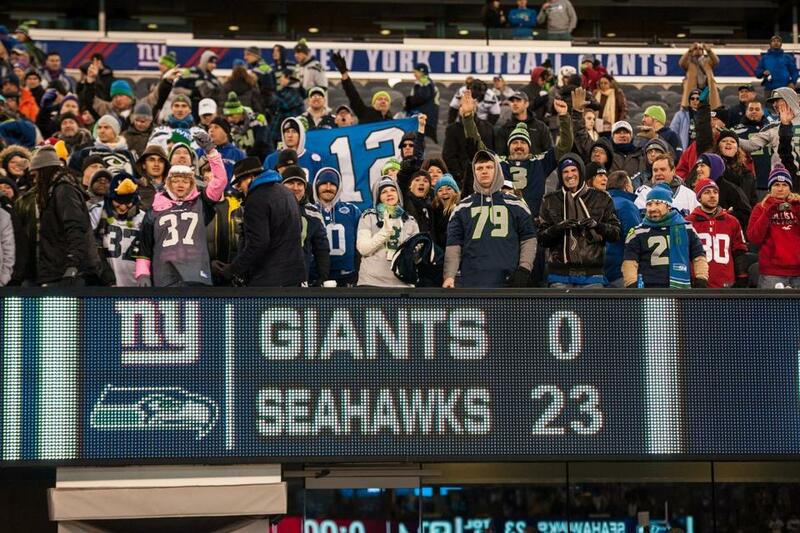 This was the game that the 12th Man knew the Seahawks had in them. The focus now will be to carry this defensive momentum into two dominant performances to end the regular season. Offensive Line Must Improve: As joyous as it was to watch the Seahawks dismantle the Giants there was one gigantic concern that stopped the hearts of me and my friends during this game. Russell Wilson gets hit too much. Even when Russell does not get hit, more often than not he is scrambling trying to make a play because he has to. Wilson was sacked 4 times on Sunday which is definitely too many in my opinion. Many of Wilson’s short to intermediate throws also came out of the pocket. This has been a problem throughout the season and things must change in order to keep Wilson clean and limit the chances of him getting hurt. Because the Seahawks are winning and the offense has been productive throughout the season many fans tend to ignore any potential problems within the team but I see an issue on the right side of the offensive line that needs to be corrected. Second year right guard J.R. Sweezy seems to be having a hard time pass blocking and Breno Giacomini is quite hit-or-miss in pass protection. I would be interested to see an offensive line combo that puts Paul McQuistan at left guard, moving James Carpenter to right guard to replace Sweezy. Like I said at the beginning of this review, the Seahawks should have been able to put up at least 40 points in this game and the main reason why it was a closer score I believe can be ultimately traced back to the spotty play of the Seahawks offensive line. Moving Forward, Turn Field Goals into Touchdowns: There were several third down and short opportunities that were squandered this week, leading to field goals instead of touchdowns. Kicker Steven Hauschka ranks 6th among all NFL kickers in field goals made and he has connected on a career high 7 field goals in the 20-29 yard range this season; kicks where the drive stalls inside the opponent’s 10-yard line. The Seahawks need to do a better job of punching the ball in the endzone in these short yardage situations. Marshawn Lynch was stopped on a goal line run today on a drive that resulted in a Lynch touchdown a couple of plays later, however the ineffectiveness of getting the ball into the endzone from just outside the goal line makes me question the blocking schemes drawn up in the red zone. Simply put, the Seahawks need to prove to me that they can score a touchdown in positions where anything but a touchdown is a complete disappointment. Being able to finish off drives with 7 points instead of 3 will help greatly later on in the game. Thoughts on the Giants: The New York Giants are a team that may be close to a light rebuild. Their core group of talent is getting older and it is apparent that they need to re-make the offense in order to take pressure off of Eli Manning in both the passing game and the running game. I would not be surprised to see the Giants use their first couple of draft picks next year on offensive linemen because that is where I believe the Giants were the weakest on Sunday. Getting veterans healthy and adding solid, young talent could put the Giants in the running for a typical 8 or 9 win season in 2014, which may or may not put them in a position to make the playoffs. Random Thoughts: I am sick of stupid penalties. 8 penalties for 50 yards on Sunday and many of them were procedure fouls, aka the simplest, most fundamental aspects of football. This needs to change. It is amazing that we can be the 2nd most penalized team in the league, yet we are good enough to be 12-2. If we had played cleaner football throughout the season, it may not be overly impossible to think we could be 14-0 right now… Bill Leavy didn’t screw us over this week. Thanks Bill! However, I refuse to fully forgive you for Super Bowl XL until we finally win a championship… I watched the game down at my friend Jake’s house and it was a really fun time with all of my best friends… Didn’t get to watch RedZone so we flipped between Kansas City/Oakland and Green Bay/Dallas in the afternoon, while also being able to sneak in a quick catnap… 6 month old Bud Light still tastes fine. I don’t see a problem with drinking old beer as long as it doesn’t taste bad. There’s no problem with that right?… The Seahawks were wearing white jerseys and blue pants this week so my prediction was correct… With two home games left I think it is impossible to lose out on the division but honestly I am looking a bit ahead to the St. Louis game week 17 because if we win and wrap everything up next week against Arizona, I think we will treat the Rams game like a preseason game by resting all of our important starters. My point: Our 14 (15 if you count a win next week over the Cardinals) game home winning streak could be in jeopardy. That would be devastating. The Seahawks will now come home for the final two games of the regular season. Next week we host the Arizona Cardinals. Check back on Saturday for my preview of next week’s game. Enjoy this win everybody. Go Seahawks! It was announced on Sunday morning that Seahawks cornerback Walter Thurmond had been suspended 4 games for violating the NFL’s substance abuse policy. A little over 24 hours later the NFL announced that Brandon Browner had been suspended for one year for violating the same policy. Both are reportedly for the use of marijuana. Barring a late appeal, Thurmond will be eligible to return to play in the Seahawks regular season finale against the St. Louis Rams. Browner is an unrestricted free agent after this season and it is highly likely that he has played his last game with the Seahawks. These suspensions could not come at a worse time. The Seahawks are preparing for arguably their most important game of the season; next Monday night against the New Orleans Saints in what could be for home field advantage throughout the NFC playoffs and the news of these suspensions is creating bad publicity and distractions both locally and across the country. The fact that the Seahawks held a team-only meeting over the offseason to address this problem only adds to the frustration that these two individuals are dumb or naïve enough to make another mistake. I am hoping that the off-the-field publicity and the re-painted image of the Seahawks being a team of cheaters do not affect this locker room. However, when players like Golden Tate come out and call the actions of Thurmond and Browner “selfish” it only feeds the press and could potentially cause a rift within members of the team. I believe we are a stronger unit than that. On the field the Legion of Boom is up for their biggest challenge of the year, even more so now given these suspensions. Jeremy Lane and Byron Maxwell will be called upon to hold the fort down until Thurmond comes back, as well as practice squad signee DeShawn Shead and the newly-signed Perrish Cox. Drew Brees and the Saints are definitely not the ideal matchup for this semi-raw unit. The Saints game is now an even bigger challenge and it will be extremely important for the rest of the team to play their best in order for the Seahawks to walk away with a win this week. I would like to be the first to welcome back the Seattle Seahawks that had been lost for the past couple of weeks. After I (stupidly) speculated and predicted that the Seahawks would fall into a trap and lose, the Seahawks played what I believe to be our most impressive win as we easily beat the Atlanta Falcons 33-10. The Seahawks improve to 9-1 on the season and with the results of other games around the league this week it may be time to start talking about playoff scenarios. The Falcons continue to sink further and further into a hole as they fall to 2-7. There are tons of positive things I have to touch on after a game like we played today. Here is what I saw. Offensive Line Rotation Experiment Is a Success: When Michael Bowie was struggling through the Rams game two weeks ago I wondered why not substitute Alvin Bailey in at right tackle to try to shake things up. Today the Seahawks did that and then some. The Seahawks debuted a consistently interchanging offensive line lineup in today’s game and it worked very well, especially in the passing game. Russell Wilson’s confidence in the pocket grew as the game went on and the throws that he made were a reflection of that confidence as the Seahawks had 8 plays that went for 20 yards or more. Alvin Bailey saw playing time at left tackle, right guard, and right tackle while James Carpenter also saw time at both guard positions this week. The offensive line helped pave the way for Marshawn Lynch’s most productive game of the season on the ground (145 rushing yards and one touchdown) and only allowed one sack of quarterback Russell Wilson. The Seahawks are expected to have at least two of their injured starting offensive linemen back next week (more information in “Flash Forward”) but if we run into health problems on the offensive line in our upcoming games there is now a much better idea of what needs to happen in order to achieve maximum productivity from both our offensive line and our offense as a whole. Bag of Tricks: The Seahawks opened up the playbook a little bit on Sunday with a gadget play that resulted in a second quarter touchdown. 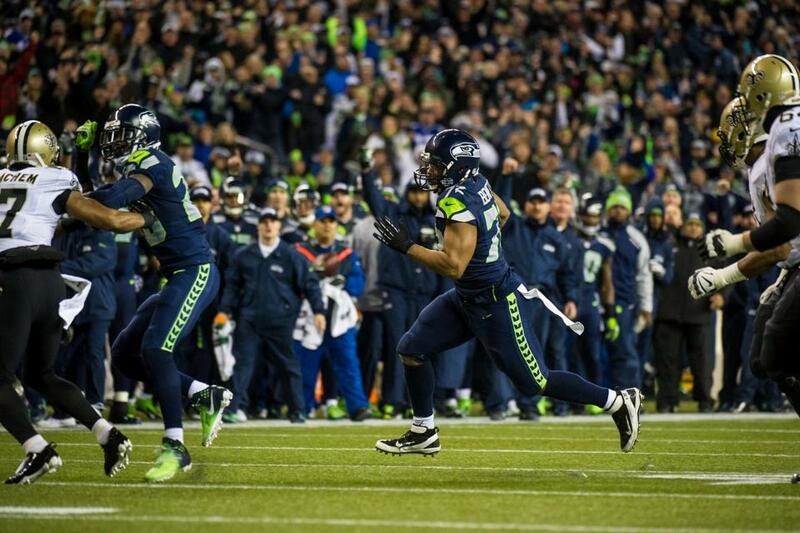 With 5:33 left in the second quarter Russell Wilson tossed the ball to Marshawn Lynch who appeared to run. Lynch then turned around and threw backwards to Wilson who then fired downfield and hit wide receiver Jermaine Kearse for a 43-yard touchdown catch to give the Seahawks 13-3 lead. This play really seemed to change the course of the entire game. The Seahawks had dominated the game on both sides of the ball up to this point in the game but the scoreboard did not reflect it. This play gave the Seahawks a double digit lead for good and the Falcons did not seem to play with any intensity after this touchdown. Although it may not be entirely necessary in the weeks ahead, if the Seahawks offense seems to get stuck, this flea flicker showed what one play can do for an entire team. Defense Dials up the Pressure, Stays off the Field: With a 6-3 lead the Seahawks forced a Falcons punt with 6:30 left in the first half. My feeling was that if we could take five minutes off of the clock, score a touchdown, and go to halftime with a 10 point lead we would be in great shape for the second half. We scored a touchdown but it only took us 57 seconds to do so. The Lynch-Wilson-Kearse flea flicker gave the Seahawks a 13-3 lead. Then after forcing an Atlanta punt the Seahawks drove another 2:01 and kicked a 44-yard field goal. 16-3 Seahawks. The Seahawks once again forced a Falcons punt and got the ball with 1:03 left in the first half and with one second left Russell Wilson threw a 6-yard touchdown pass to Golden Tate to give the Seahawks a 23-3 halftime lead. The hope of a five minute drive resulting in a touchdown going to halftime turned into 17 points on 3 separate scoring drives in under 6 minutes going into halftime. By the time halftime finally arrived, the Seahawks had a 20 point lead, complete control of the game, and all of the momentum heading into the second half. You can thank the defense for giving the offense these opportunities. The Seahawks defense played one of their best games of the season in all phases against the Falcons. They held Atlanta to 4/12 on 3rd down conversions, they sacked quarterback Matt Ryan twice, Walter Thurmond recovered a fumble late in the game, and what is most impressive to me; after allowing 200+ rushing yards in each of their last two games the Seahawks defense held Atlanta to 64 total rushing yards on Sunday. Bobby Wagner led all defenders with 9 tackles and Thurmond stepped in for an injured Brandon Browner and recorded 7 tackles of his own as well as two tackles for loss. Falcons receiver Roddy White had only one catch for 20 yards and on that play he was not covered by Richard Sherman. Although Sherman did not do anything super flashy, he was very successful in covering and limiting separation of the Atlanta receivers. Sherman may have had his best game of the season from a pass coverage perspective. A defense performance like the one we had on Sunday could carry serious confidence into our next two games which happen to be at home. 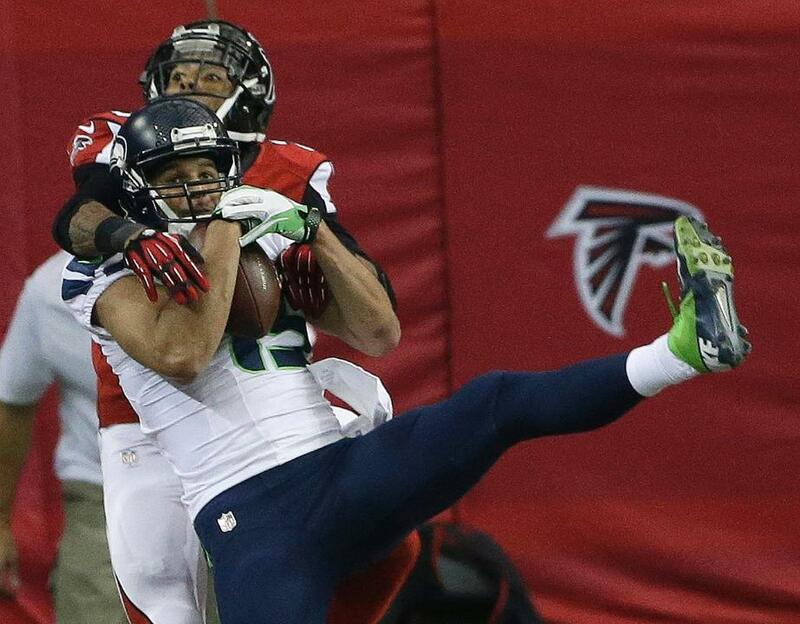 Fast Forward: The Seahawks were able to dominate the Falcons without 5 starters. Max Unger and Red Bryant were inactive dealing with concussions and I expect them to be ready for next week. Breno Giacomini and Russell Okung are both eligible to play next week and both practiced with the team last week and will continue to do so this week. It is very possible that we will have our opening day offensive line back healthy for next week’s game. As if our team’s health could be any better, Adam Schefter of ESPN is also reporting that wide receiver Percy Harvin is expected to make his Seahawks debut next week as well. If all of these players are back I believe that the Seahawks are going to be too dangerous to stop in the coming weeks. Just imagine what today’s game would have looked like if we were completely healthy. I am starting to get very excited about what is on the horizon for this team. A dominant performance next week and I would not be surprised to see the Seahawks penciled in for the NFC West title and home-field advantage throughout the NFC playoffs. Thoughts on Atlanta: How can a team go from being 10 yards away from the Super Bowl one season to being on the verge of a top-5 NFL Draft pick the next? The Atlanta Falcons have talent but they did not seem to play with any fire on Sunday. I think it is safe to say that the Falcons have mailed their season in. In Atlanta, fans, media, and Falcons personnel believe that Mike Smith is the best coach in Falcons history and to me it would be unfair to pull the plug on his tenure after this season, as he has taken the Falcons to the playoffs in 4 of his first 5 seasons. The Falcons could be right back to being one of the NFL’s elite teams next season and it would be wise to use their top draft pick next year on the best defensive player available as Atlanta is already quite loaded on the offensive side of the ball. Random Thoughts: The Seahawks went with the white jersey/ blue pants combination for the first time this season. It looked pretty good if I do say so myself… The Seahawks have now tied the 1983 Seahawks and the 2005 Seahawks for most regular season wins on the road. One more win on the road would give us the franchise single season record and I think would lead to us having the best regular season record in team history… The Falcons drum line was pretty annoying to listen to throughout the game. The microphone seemed to be right next to them. I don’t know if that’s just me or not but the drumming got to be more annoying as the game wore on… What was up with that unnecessary roughness penalty on Michael Bennett? Bennett sacked Matt Ryan but because he tackled him at the knees they awarded Atlanta with a 15-yard personal foul penalty instead of it going as a Seattle sack. So I guess you can’t tackle the quarterback anymore? Just another example of how questionable the officiating is and how the NFL is becoming continually sissified for player safety… Mac and Jack’s is one of the best beers out there. Glad we got a growler of it for this game… I have to give massive props to the Seahawks fans that traveled to Atlanta for this game. It seems like more and more fans are starting to travel with the team. San Francisco is our next road game and is the closest distance to Seattle of any other team. I can only imagine how many Seahawks fans are going to make the trip to Candlestick next month just like I am… I have to give even bigger props to the little kid who showed off his dance moves in the fourth quarter. I was very impressed and I got a really good laugh out of it. Even though I consider myself to be a pretty good dancer, I must say that kid could probably beat me in a dance-off… Thank god the 49ers lost to Carolina… With two straight home games coming up now is the time to create some serious space between us and San Francisco. Seahawks Divisional and Playoff Outlook: For the rest of the regular season I will feature a Seahawks playoff outlook in my game previews and game reviews which will feature current projected seedings, matchups to watch, and potential clinching scenarios. With the Seahawks win over the Falcons and the 49ers loss to the Carolina Panthers the Seahawks currently hold a 2 ½ game lead on San Francisco in the NFC West. Next week San Francisco travels to New Orleans to play the red-hot Saints while the Seahawks host the Minnesota Vikings. As it stands now, if the Seahawks win their next two games and the 49ers win their next three games heading into our week 14 matchup in San Francisco, the Seahawks could clinch the NFC West championship with a win over the 49ers. Things can and will change between now and the next three weeks however so do not get too excited just yet 12th Man. Make sure to check back on Saturday as I preview our week 11 matchup with the Minnesota Vikings. Thanks for reading. Go Hawks!